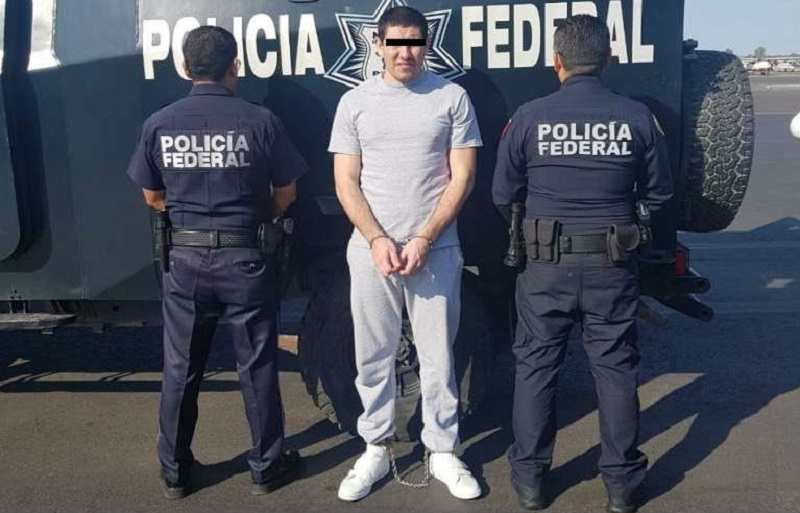 Borderland Beat: El Chapo Trial: Damaso, "My compadre's children are in collusion with the government, they blamed Valdez' murder on my son"
El Chapo Trial: Damaso, "My compadre's children are in collusion with the government, they blamed Valdez' murder on my son"
In the trial of Joaquín "El Chapo" Guzmán, Dámaso López Núnez, alias " El Licenciado ", stated thatit was Chapos sons that killed journalist Javier Valdez. That the sons were angered by the Damaso article which was ready to be published. "He (Javier Valdez), complying with his journalistic ethics, disobeyed and that's why they killed him," Damaso said. Defense lawyer, Eduardo Balarezo, asked him if he had ordered the journalist's murder because of an article that Ríodoce published about his son, Dámaso López, alias "El Mini Lic", which Damaso rejected. According to his testimony, López Núñez gave Valdez a telephone interview whose publication Chapo sons tried to stop, the children of Guzmán threatened the journalists in their editorial house attempting to force them to squash the article. 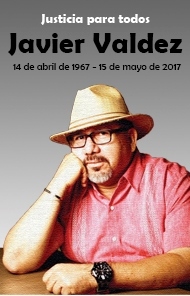 Javier Valdez Cárdenas was murdered on May 15, 2017, when he left the offices of Ríodoce in Culiacán. Balarezo: And he was the founder of a newspaper called Ríodoce, right? López Núñez: I do not know if he was a founder, but he wrote for that newspaper. Balarezo: Do ​​not you recognize the cover of Ríodoce? Balarezo: And not recognize Mr. Valdez? López Núñez: Maybe, I never met him in person. Balarezo: And it had nothing to do with the murder? López Núñez: Yes, he is correct. Balarezo: Is not it true that this newspaper published a great critique of your son? López Núñez: On orders from the children of my compadre, Iván, and Alfredo. Balarezo: The newspaper published a critical article about your son on the orders of the children of 'Chapo'? López Núñez: You're absolutely right. Balarezo: And one of the things that the newspaper published about your son is that he was a good for nothing and a pathetic drug trafficker? López Núñez: I was in prison, sir. I did not see the newspaper. Balarezo: And I assume that your son had nothing to do with the murder either? López Núñez: You assume well. As it was false [he did not kidnap chapo's sons, he claims] , when the journalist [Javier] approached me, I saw it as a good opportunity [the interview], but my compadre's children did not like what I did. Ask anyone in Culiacán. They threatened everyone in the editorial house to get a note in a way and forced to not take the interview. But as the article was complete, he published it, disobeying the orders of my compadre's children. And since my compadre's children are in collusion with the government, they did not find a culprit and blamed my son. Balarezo: Did you see Chapo's children kill him, yes or no? López Núñez: I did not see that. Balarezo: Did you hear them give the order to kill him? López Núñez: I was a prisoner. Balarezo: And you have not talked to your son? López Núñez: No, sir. The truth is the truth. Maybe my compadre did not know it, but now he knows it. This cross examination happened after López Núñez admitted to having a private army of approximately 100 men in 2016, which were necessary to defend himself against the gunmen sent by the sons of Chapo, trying to kill him and his family. In January of this year, a District Judge denied protecting the alleged perpetrators of murdering journalist Javier Valdez. Juan Francisco N el Quillo and Heriberto N el Koala , filed amparos against the indictment for the crime of homicide, in the Fourth District Court based in Culiacán. In both cases, the judge denied the protection of federal justice, since the bonding order does comply with the legal guidelines. In both cases, the lawyers tried to dismiss the statements of two witnesses used by the prosecution as evidence to link the accused to the murder. One of the witnesses, a cousin of the accused, stated that El Quillo told him that they had committed the murder and that they had paid him with a gun with the image Damaso. Another witness stated that Luis N el Diablo - also implicated in the murder, told him that together with Quillo and Koala he had murdered Javier and that they were members of a cell of Dámaso López Núñez, El Licenciado . 10:00 AM What else can they say that they worked for Chapo's rat kids or someone else? If what Damaso is saying is true this means Chapo's son made a power play on him in order to take full control of everything. He was set up to be the fall guy in order to take the heat off them and Guano for the ambush and murder of the soldiers in Culucan or someone with a little more power then that. Looks like the kidnapping was a fake or a well drawn plan by someone with more power then Chapo and Damaso to get Damaso and Chapo out the way. Now its Chapos sons, Chapos brothers and Mayo and the top. Of that bunch whoever falls first will give you the answer to what started the war after Chapo was caught and who turned Chapo over to the US. I read peoples comments on here and take it to heart about the cartels like if somehow it affects them,idiots! Thanks for staying on top of this. Now they say the wife helped with the escape as if that comes as a shock. Wasn't she with him when they caught him the last time? Isn't that aiding and abetting a fugitive? Shouldn't she be in jail too? So confusing. These little exceptions to the rules of law. for the aiding to escape part, as far as i know that's punished by the law. idk how it is in MX. the law over there gives the impression of being "light"
@10:31 oh I didn't know. I saw an interview where they said "when you got married" so i assumed it was a valid marriage. then IF she did commit a crime (i like to say IF b/c everyone is innocent until proven guilty in a court of law) she wouldn't have a privilege = she won't be exempt from questions about Chapo. I saw the interview on YouTube btw. and everyone else she calls him "husband" so i went with that. I didn't know the clarification had been brought up on the blog. What collusion? She didn’t do anything. No collusion. Is just a witch-hunt. all telling is when chapo was processed at altiplano and he said "Alejandrina Salazar" was his wife, his only legal wife and his first wife. remember the emma interview? in it she warned netflix and others that to use chapo for entertainment projects they would have to go thru her. Alejandrina posted legal documents depicting her mother as chapo's wife and also the trademark she says they rec using chapo for any commercial projects. That said, my research shows they were denied trademark status 4 times. maybe in mexico they rec it, i don't know I was not interested enough to pursue it further. 10:42 it is easy to miss something there is so much. It is hard to decide what to write about! in this case Emma's lack of legal status came up in court by the gov. they were correct she is not a legal wife. noteworthy: remember the person detained at the US POE who said she was chapos daughter? Gris said in an interview that no one including chapo's mother knew the girl and she was not chapo's daughter. I think the young woman is a doctor, or at least she said so. Thanks for sharing. I think it's safe to say many of us new readers were brought here by his trial. Chivis was the girl from California claiming to be Chapos daughter real or a fraud? She said she was married to Vicente and that Chapo crossed into US a few times when he was on the run the last time. The Guzman Loera family said they didnt know her but she seemed like she wasnt lying but who knows. Maybe they said that so she doesnt get in trouble? What do you think Chivis? alejandrina has her mothers name who is chapo's first wife and who he remains married to. 7:54 the california woman was also said to be a fraud. and she hasn't been heard of since. 12:09 Can you plz link or say name? Is there a link to the article Javier wrote? 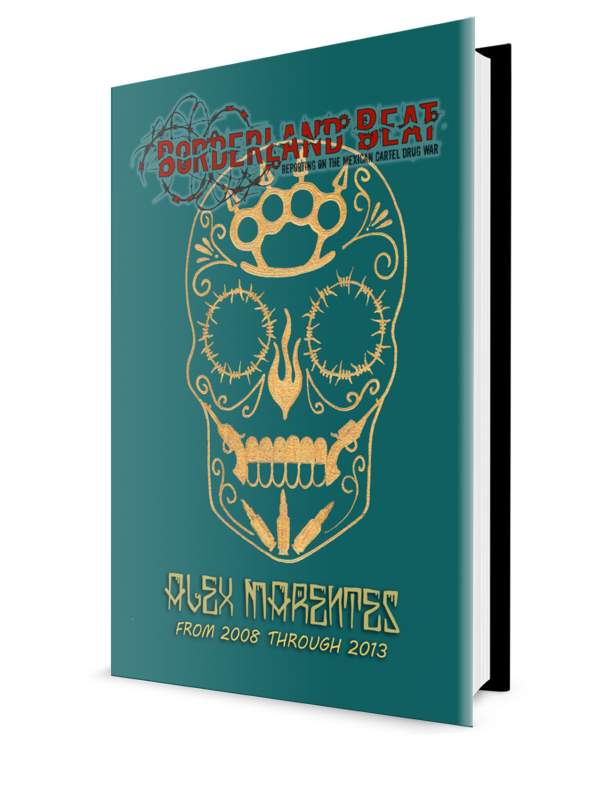 With the death of the high profile journalist, Damned-Damaso knows that once his sentence is finished in an American cement block that Mexico will put him away for life for the journalists murder! So he lies! They're all going down. You play the game this is how it ends. Conspiracy theories are what is floating around here pertaining the death of this fine journalist. These guys (cell) could have been orchestrated by chapos kids believing that they were working for chapos kids. Rather anyone to obtain their objective. Anything is feasible. A novella with Tom Cruise infiltrating terrorist groups. In the end the truth will never be told. I’m guessing because he saw Bravo as los menores Luca Brasi. It’s also been said that it was los menores that ordered the hit because they blamed Bravo for the last capture. Bravo knew that los damasos were going to try to fight for the plaza en sinaloa he told los chapitos but they didn't believe him Chapo was in jail so bravo didn't have know one to back him so los damosos killed him a lot of thinks would have been different right now in sinaloa and a few other places if they would have listened to El Bravo a lot of people would have not died and CDS wouldn't have been fighting between them self. He knew bravo would kill him he didn't get to him first. Damazon blames El senor/sons for he's crimes he committed there's article s of him kidnapping and asking million s for the Ransom s that guy should get the death penalty. ... 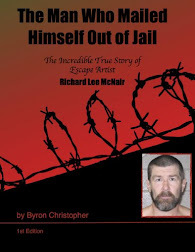 I Thought It Is Not Illegal To Escape From A Mexican Prison As Its One's Human Nature To Try And Escape ... Am I Wrong? Despite the rant. You are probably correct as to the sentence given for his cooperation. The US main focus and objective is Chapos guilt of being the head of the organization. All other is just story telling! Or we can call it locker room talk? Yeah...what i said. You just didnt post it. Yes GER dont see it as unlawful to escape from prison but you have to pay for any damages you do. Yes ! It's you again! 4:33 IT is Not illegal to escape from prison in Mexico just as you said....But it IS against the law for someone to help you. So you have to either do it alone or know that the help might be imprisoned. I can only wonder how many prosecution witnesses and extended families were offered asylum? This skews the process of a free and totally honest trial. The gobernacion should be asked to reveal all with regards to promises of sanctuary especially because millions of dollars of drug and worse dollars may enter with the person given sanctuary. However, government officials will never divulge any information pertaining plea agreements of anyone. This government practice should be considered bias and unfavorable for anyone facing trial. Then again its government and any objective will be overruled by classified material. No winning against the government.